This topic contains 5 replies, has 4 voices, and was last updated by Forum Moderator 3 years, 2 months ago. How do I add the gallery and get it to look as it does on the sample? And then Click on Add New. Once done select any category or add any category from the category area in this very page. And click on Update. 3. To add another image again click add new and follow the first 2 steps as given above. 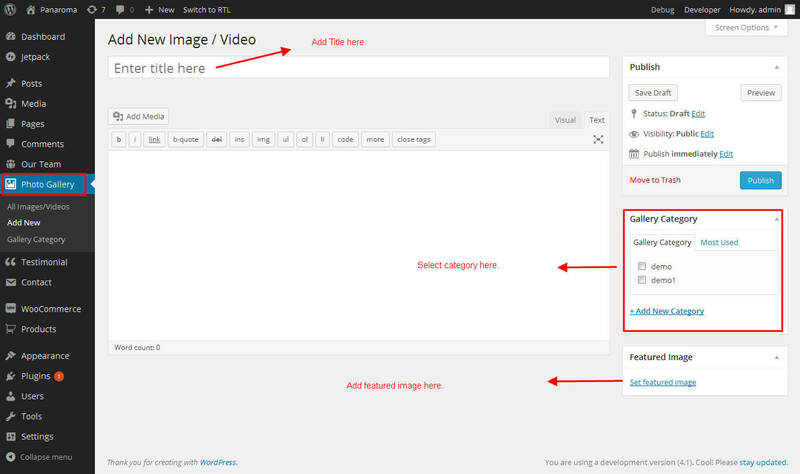 So for every new image title and 1 featured image is to be added and it is to be selected into any category you wish. Now once this is set up. Kindly show us screenshot of how it appears and your website also. I tried to add a shortcode to one of the inner pages but I am doing something wrong..